Heidi Davidson has 20+ years of experience delivering business transformation initiatives primarily focused on the implementation and optimisation of digital ways of working, covering technology through to processes and people, in both New Zealand and the UK. Her experience has crossed over many industries including airline, hotels, consumer goods, retail fashion, leisure facilities and network distribution, which enables her to bring myriad different perspectives on how businesses can and have overcome their current challenges when faced with an issue. Heidi’s key strength is her ability to quickly identify that often the challenge(s) that individuals and businesses think they are trying to solve for, are in fact just symptoms of a different underlying root issue(s). Often the solution for the root issue is very straightforward once found, but to initially find the root issue is often a process of digging deep into data and internal knowledge, whilst also being guided by both logic and intuition. Having successfully identified and implemented many effective solutions, Heidi has saved several businesses from spending $10k-$10m on unnecessary technology fixes or decisions to resolve symptoms which would simply reappear again in time. Heidi is the Immersion Practitioner who absolutely does the hands-on work herself. Whether this means systematically working through raw data, asking the tough questions of both individuals and businesses, sitting alongside people and teams to construct solutions or presenting options back to Management/Boards, Heidi will deliver. Heidi has just completed a piece of work for us to better understand our Global Online Travel agent landscape and to shape a strategy to better influence this distribution and marketing stream of our business. Heidi did an excellent job to understand the landscape, consolidate and condense a global view, recommend a very comprehensive strategy including a significant change programme within our business. She worked extremely well with internal staff and external partners as well. She also identified and help us fix a number of gaps within our knowledge and process that had direct bottom line improvements. I would recommend Heidi very strongly for a global or local role that has complex knowledge gaps and that requires a wide and deep understanding. This is often difficult to find someone who can talk strategy but also do detail. Heidi was employed to help our Business define our Digital E-commerce strategy, and to drive a selection process for suppliers against that strategy. In addition to doing a fantastic job on her objectives, she sorted out a number of issues with our current Digital platforms which ensured that we are able to take the right time to agree our new Digital strategy and implement it. Heidi is detailed, articulates her case well, is not afraid to challenge, and adds great value with her extensive experience in the Digital area. Heidi was appointed on a short-term transformation project for Chill Factore. She quickly identified key issues and opportunities and delivered beyond the initial scoping requirements. I have no hesitation in recommending Heidi to any prospective client and would happily work with her again. 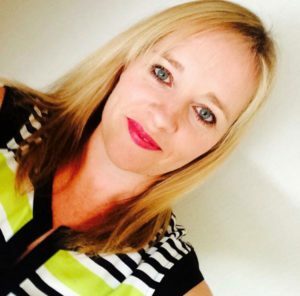 When Heidi joined David Lloyd Leisure she made an immediate positive impact. She demonstrated on countless occasions her ability to get to the crux of an issue, come up with a solution and get buy in from Stakeholders and Suppliers in order to resolve the problem. Her drive and energy seemed endless resulting in high quality work output. Heidi is an excellent project manager with an absolute focus on getting the job done – she will not let barriers get in the way of achieving the targeted goals. Her technical knowledge is exemplary which when coupled with her understanding of what drives commercial returns makes for an outstanding person to lead e-commerce projects. She’s also a great person to have as part of a team.